I am a huge fan of informative nonfiction books. If it's a topic that interests me, I can never gain enough information about it. And since there are few things more important to me than having kids one day, and making the most natural choices about it, I knew I had to read this book. 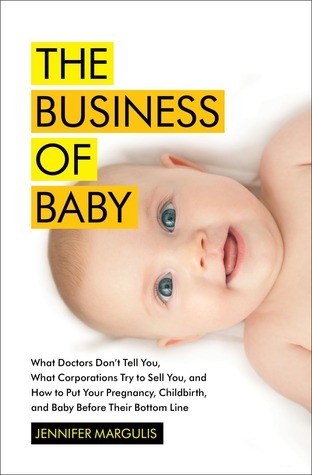 It's quite a title for a book with a cute baby on the front, but the bottom line of this book is to find out the truth of what really happens during pregnancy, birth and infancy to the majority of Americans. Jennifer Margulis, who has a doctorate in investigative journalism, sought to find the answers to what really happens behind the scenes of an American childbirth and just why those things are happening. Most of us grow up believing that birth is an experience that must be had in a hospital. We learn that since there are so many things that could possibly go wrong, we shouldn't even attempt to listen to our own body's signals, but that we should call the doctor at the slightest concern. It is frightening to note that the US has one of the highest levels of maternal and infant mortality rates in the industrialized world. How can one of the world's richest and most powerful countries have such appalling statistics on the health and survival of mothers and their newborn babies? 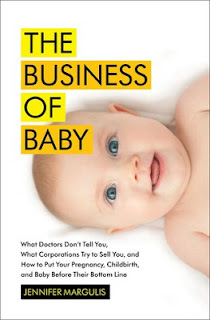 The biggest corporation in the United States run a business, and that business is birthing and raising babies. Dr. Margulis takes us on a chronological journey from conception, through pregnancy, childbirth and up until a baby's first year of life. From free samples and catered lunches offered to hospital staff, to harassing phone calls from formula reps to new mothers, to the most ridiculous vaccine schedule on the planet, Dr. Margulis seeks to inform people everywhere, so they can make educated decisions about their babies' lives. This book was absolutely frightening! As I've grown older, I have inevitably begun to think about having children one day, and what I imagined and wanted that experience to be like. My initial thought was that I wanted to have as natural of a birth as possible, but that people that have home births were a bit weird and I wanted to have my babies in the hospital. I thought that I could make a detailed birth plan and that everyone would follow it. My births would be stress-free, wonderful experiences and everyone would listen to what I wanted. I have read a number of books on natural hospital births and home-births and none have given me the confidence to make my own decisions like this one has. I highly recommend it for anyone who is pregnant or wants to have a baby some day. You absolutely NEED to get the facts and be educated. Ultimately, you should be making the decisions that affect your baby, not some CEO who makes $25 million a year. For more information, visit Jennifer Margulis on her website for more book recommendations and a very informative blog.